For those new to Ed Sheeran, his headline slot at Glastonbury caused a bit of confusion. How come he could stop playing his guitar, yet the music carried on? Was he miming? Or using a backing track? No. He was using a loop pedal. It allows you to record a few bars of music, which then repeat, while you then play other parts over the top. Newsbeat’s spoken to the man who taught Ed to use it, Gary Dunne. But first, if you missed the row, here’s a brief recap. And they were by no means the only ones. There was so much confusion that the star felt the need to clear things up. “I remember having to explain live looping 10 or 15 years ago,” Gary Dunne tells Newsbeat. “It’s very, very funny. I was talking to Ed about it the day after the set. We’re live looping geeks and that’s what we talk about. Gary says he first met Ed when the singer was just 14. “I was playing a gig at Shepherd’s Bush Empire and I played solo, with a loop station. At the time I was a struggling musician, so I made a lot of my living through doing concerts in fans’ houses. 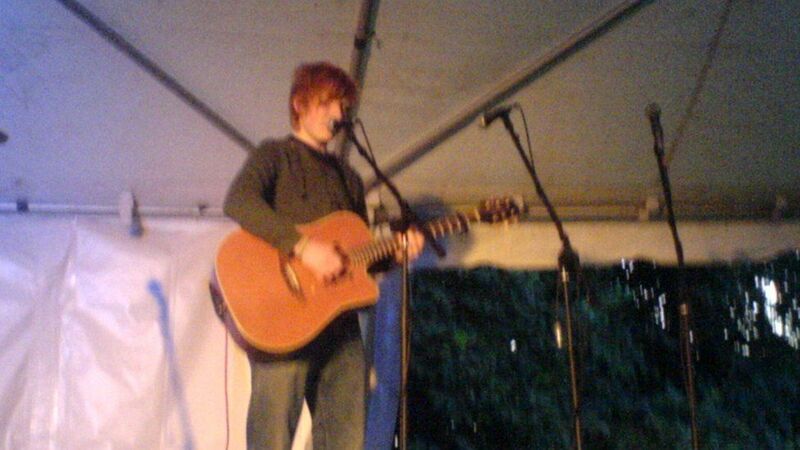 “So Ed and his Dad picked me up from the train station and I did a gig to Ed and his teenage buddies. Ed’s headline set will go down in Glastonbury history and rightly so. 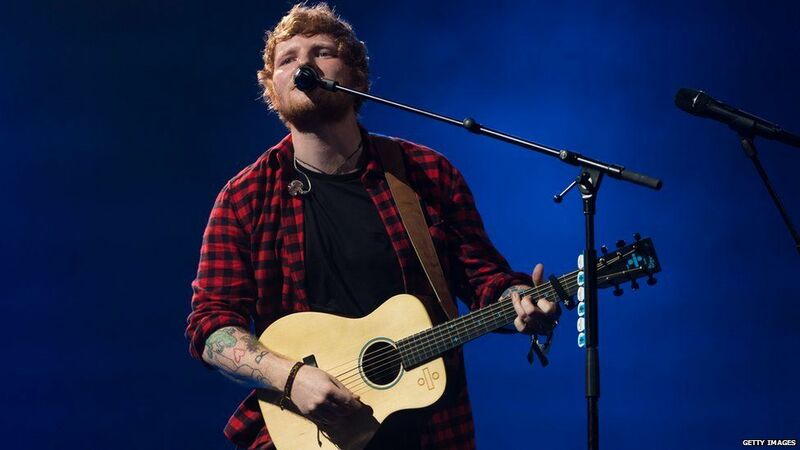 Ed Sheeran used the loop pedal for the whole of his Sunday night slot – and Gary says he can’t imagine any other star being that brave. “I find it interesting that people can watch the gig and criticise the art and not understand the complexity and the vulnerability of what he’s doing. “If he pushes a button half a second out the whole song can fall out of sync. “So he’s up there on his own and he’s riding a wave of being in the moment with the music and every time he puts his foot down he’s either recording or looping or reversing or adjusting a track. So has Gary ever slipped up at a gig? “Of course I have,” he laughs, “it was at the biggest gig I’ve ever done! “When I released my first album it made the top 20 in Ireland, so I landed a gig at a festival, playing between Lamar and Blue. “I was given a two song set in front of 100 thousand people in Dublin and it all went wrong.